I love using oils with my family. We never have to buy over-the-counter medications because I have learned how to use plant medicines to s​tay healthy. I've raised 4 kids without the use of antibiotics or over-the-counter meds. Essential oils are powerful plant medicines, being extracted from the life-blood of the plant. Plants have natural disease resistance properties and they are stored in the life-blood. When we extract these properties from plants, we can naturally benefit! It's like having a whole new natural pharmacy right at your finger-tips. Essential oils are highly concentrated and therefore they are 100 to 10,000 more powerful than herbs! Young Living oils are the highest grade therapeutic essential oils on the market. I was introduced to them by many of my teachers over the years and personally began using them this year. I have been amazed at their potency and only wish I had started using them sooner! Young Living Essential Oils have a seed to seal guarantee which means that we oversee the entire process from seed to seal. Young Living owns farms around the world. All of their oils are organically grown, cold steam distillied without ever using chemicals in the extraction process, and bottled by Young Living Young Living. The company makes it very simple for you to try their most popular oils for a deeply discounted price! 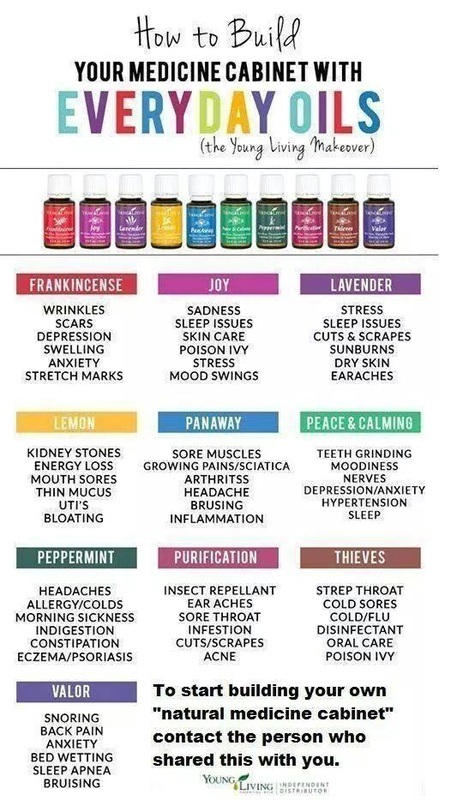 I use these oils every day and when I ran out of some of them, I reordered as fast as I could because I couldn't imagine not having them to use everyday. I'd like to share with you a complimentary e-book about the amazing uses of the oils in this discounted Everyday Oils Collection. You can open it or download it below. You won't believe how many things you can use these oils for, from depression, headaches, burns, digestion, insect repellent, immunity, air purification, chemical-free cleaning, pain, relaxation, insomnia, stress, cramps, you name it! It's like having a chemical-free, totally natural pharmacy on hand. There are two ways to purchase Young Living therapeutic-grade essential oils. You can become a wholesale member or a retail customer. Wholesale members get a 24% discount off retail price for every Young Living product. Retail customers pay FULL retail price. Lavender, Peppermint, Lemon, Frankincense, PanAway, DiGize, Thieves, Purification, RC and Copaiba, plus a bottle of Stress Away. You will also receive some oil samples to share with friends and family as well as the diffuser for this price. It's a great way to start using the oils to get the great benefits listed in the PDF above. In addition to the wholesale pricing (24% off retail price), you also have the option of sharing the oils with your friends and family in order to earn commissions and participate in promotions for free oils. If this is something you are considering, please contact me. I will be more than happy to help you get started! What if I want to use essential oils for weight loss or other health concerns? Are there more products than just the Starter Collection? I am happy to work with you to find the products that are best suited for you once you have set up your account! Young Living has over 400 products to use for a wide variety of health concerns. 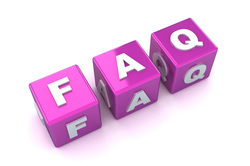 In fact, you can Google your concern with the words 'Young Living' after it and find a myriad of information online! I offer complimentary coaching to help you get set up with the products are right for you. You can set up a session here. 6. Select your enrollment order. This is where you can specify which Premium Starter Kit you would like. You must sign up with a kit to become a Wholesale Member. To maintain your 24% discount going forward, you only need to spend $50 each subsequent year with Young Living on any product in their store. That’s it! You can also purchase other items at this time if you wish.